In the frozen heart of winter, the people of Finnish Lapland have a trick to stave off the darkness: snow lanterns. This homemade decoration is simple, beautiful and surprisingly effective. Now that you’ve seen the video, it’s time to get hands-on. The first ingredient you need is snow. You can check out the window, or you can come to Lapland anytime between November and May. And if you come to Syöte, for example, you’re almost guaranteed to see more snow than you’ve ever seen in your life. Once you have snow in hand, pack it into snowballs. 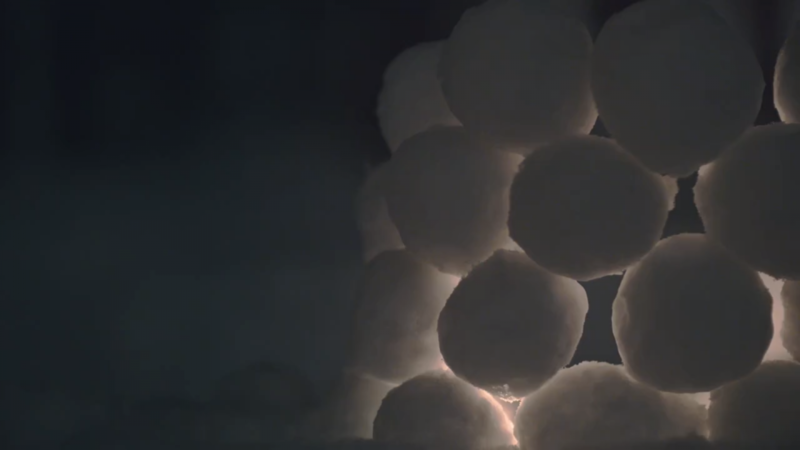 The best temperatures for snowballs are around freezing. In Inari, for example, early winter is a great time for snowballs. But if the weather gets too cold, snow tends to get very powdery. In that case, you’ll have to waste your day sledding and skiing. Poor you. The number of snowballs you need depends on the size of your lantern. A couple dozen makes a good start for a beginner’s lantern. The more ambition you have, the more snowballs you’re gonna need. And the more you’re going to have to restrain yourself from starting a snowball fight—also known as the Utsjoki How-Do-You-Do. But let’s assume you have good self-control and a nice pile of snowballs. Begin by arranging the bottom row of snowballs in a circle. Then you’ll add another layer, stacking them atop like bricks. And again and again. If you add fewer snowballs each time, you’ll create a cone-shape or even a dome. (You can use the Snowbrick igloos from Rovaniemi as a good model!) Before you get to the top—especially if you’re aiming for the moon—place a candle in the center of the lantern. 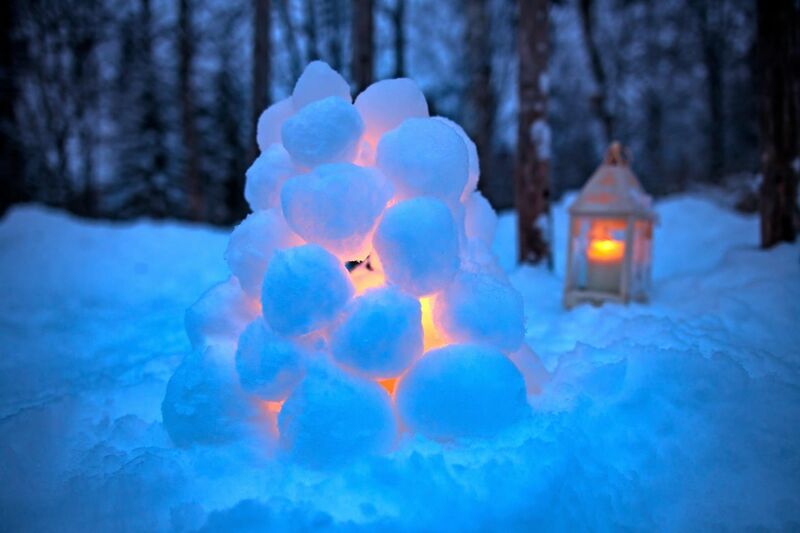 Snow lanterns are a Lapland tradition, a warm welcoming light in the mystical darkness. Just about every Finn has made one of these at some point in their lives. It’s especially popular to mark the first snow of the year. And now it’s your turn to join the tradition. 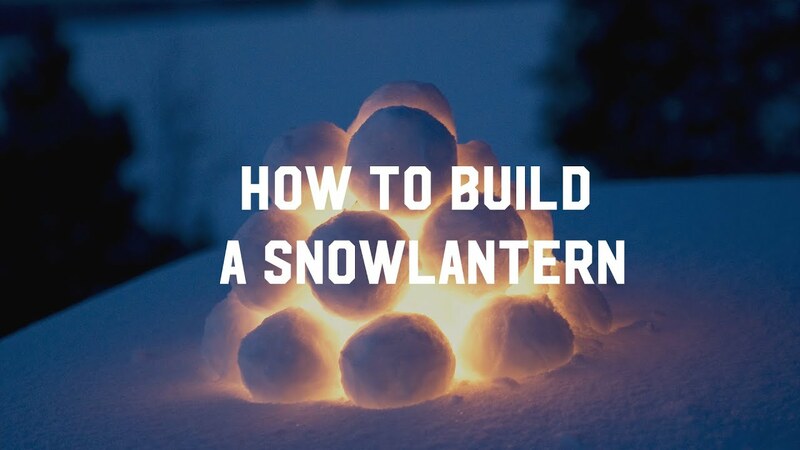 Build a snow lantern. 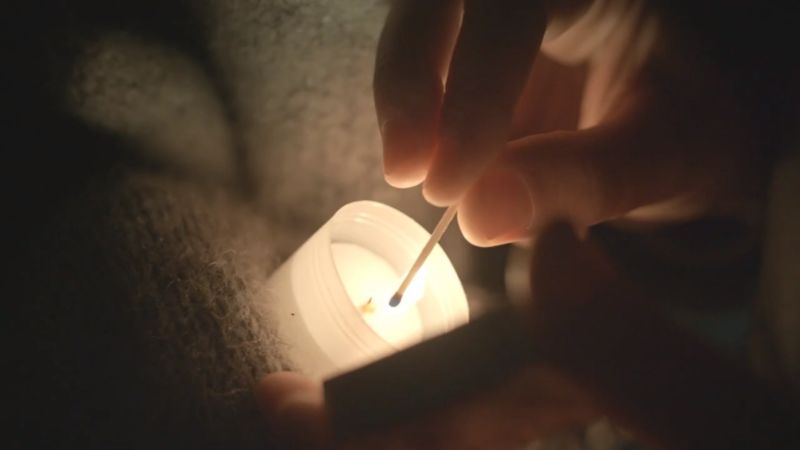 Light it up. And share it with the world on Facebook, Twitter and Instagram using #SnowLantern #LaplandFinland and our personal favorite: #OnlyInLapland.